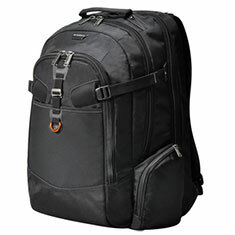 If you are looking for a bag big enough to fit a full-sized laptop along with everything else you'll need on your journeys, look no further than the Everki Titan. The Titan is the behemoth of laptop bags, designed with a ton of unique features and accents that set it apart from the crowd. Everki constructed this bag using high-quality materials that offer your expensive equipment ample protection without sacrificing visual appeal and a surplus of useful pockets leave the Titan well-suited to satisfy even the most organized traveler. The Titan stores laptops up to 18.4in in a softly padded and felt-lined compartment that opens a full 180 degrees for easy access and allows you to breeze through airport security checkpoints without having to remove your device. Even with a full load, the Titan keeps your back and shoulders comfortable with soft padding and deep airflow channels that work to improve circulation, and the bag helps to maintain balance with its 5-point balance strap system and fully adjustable chest strap. In addition to its laptop compartment, the Titan features a spacious main storage area with large, zippered pockets, dividers to separate peripherals from files and documents, and a soft, felt-lined pocket appropriately sized for your iPad, Kindle, or other Tablet PC. Another compartment at the front of the bag offers the Titan's proud owner plenty of slots to store business cards, writing utensils, or any other necessary gadgets or accessories, as well as a pocket to stash the Titan's included weather cover. 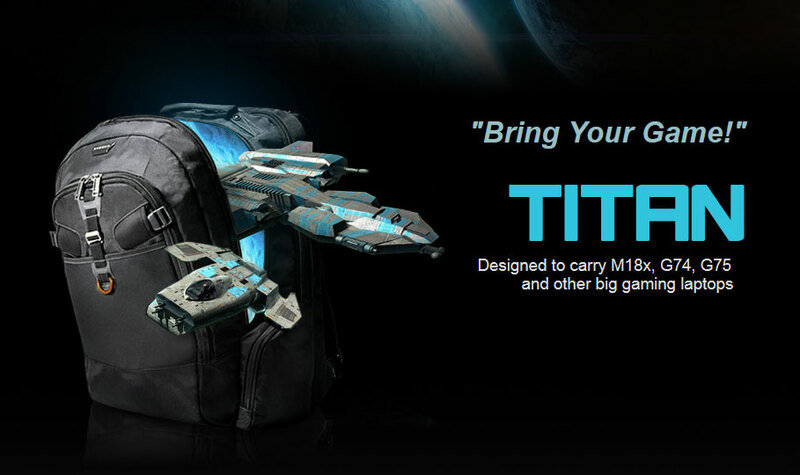 Users of the Titan will enjoy the convenience of an additional small stowaway pocket, built into its durable nylon exterior that blends in with the bag's sleek design. Everki outfitted this pocket with a soft, scratch-free lining to help you keep your portable media player or mobile phone safe and sound. A cable outlet lets you set your desired length of cord to reduce slack and eliminate the threats of tangling and breakage, and works double-duty to prevent dust or rain from sneaking in. To top it all off, the Titan comes with a removable accessories pouch to aid organisation, as well as a water-resistant weather cover to protect your gear from the elements.